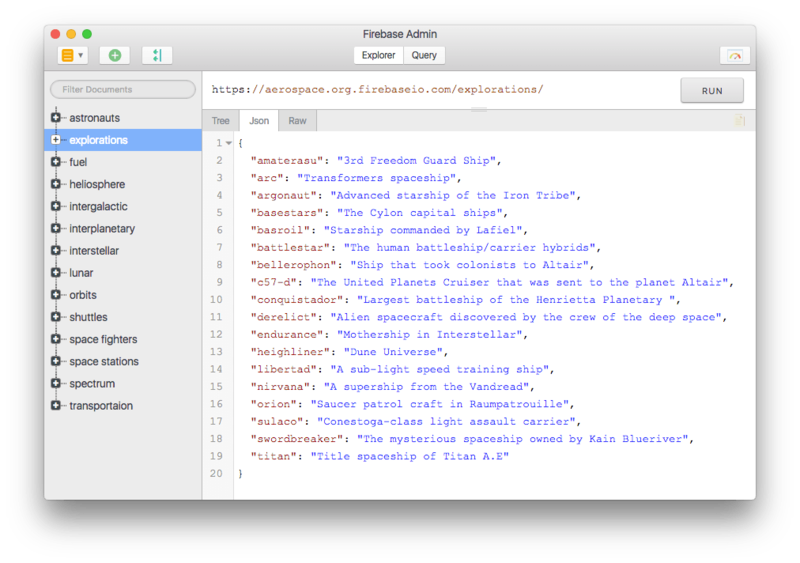 Firebase Admin is Google's Console on steroids in your machine. Built for all of you! Firebase Admin is now available for Windows, Mac and Linux. Whatever systems you use. We are here for you. Firebase Admin is available for Windows, Mac and Linux. Testing your firebase query is simple now. Write query & test results directly using the query builder. Have Multiple Firebase Databases? Add as many connections as you want. Firebase Admin can handle them all. Love Open Source? So do we! We will never charge you for the software. Today, Tomorrow and Forever. Update in Firebase Admin will update Firebase. Or update in linked application will update in the Tool too. Reatime. Software comes with Minimalistic UI. No redundant elements or styles. Just what you need with simple layout & style.